“Is the precious metals bull market over?” This may be the single most important investing question that we can ask ourselves. Why? If the bull market in silver and gold is not over, then the current setup would likely be an extremely big buying opportunity. 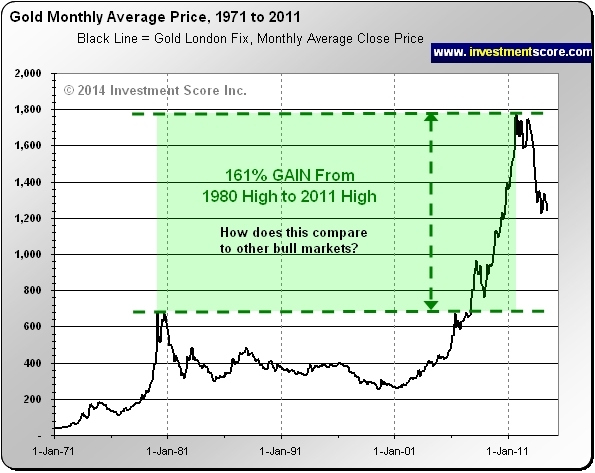 In the above chart we compared the 1980’s gold bull market top to the top in gold back in 2011. At first glance this move looks quite impressive, but how does it compare to other bull market “Top to Top” measurements? The above chart compares one bull market to another by measuring the price appreciation from a bull market top to that same markets next bull market top. When we look at the “Top to Top” maximum appreciation in the current bull market compared to the other past bull markets we can see that significant upside potential may still exist. But what would this same chart look like if we adjusted it for inflation using the government published Consumer Price Index? 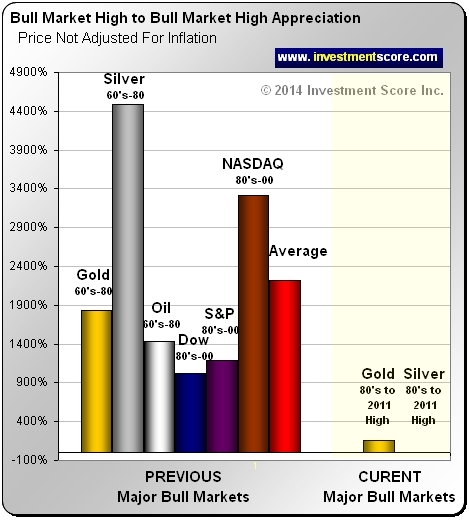 In the above example we can see that when adjusted for inflation, the price of silver and gold in the current bull market have yet to hit new highs. This is not even close to the historical president of a bull market increasing in value 500% above its previous high. In our opinion, it would be very unusual for a bull market to end without the inflation adjusted price of that market to at least reach a new high. 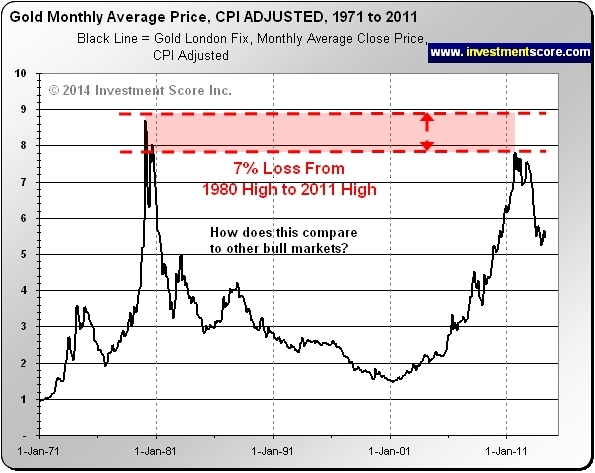 The above chart, when adjusted for inflation, as measured by the US government, clearly shows how the price of gold has yet to hit a new high. 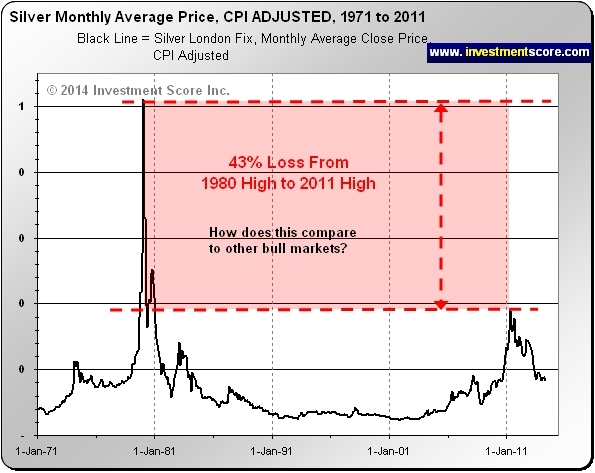 This chart illustrates how little the inflation adjusted price of silver has increased in value relative to the previous high set back in 1980. With government stimulus and money printing at an all time high, one would expect the price of silver to be much higher in 2014 than 1980. We would also like to point out that we used the government issued CIP as our measure of inflation and some believe this calculation to be bias to the downside. We find it very helpful to look at the “Big Picture” and compare historical market presidents when trying to understand if a market is cheap or expensive. 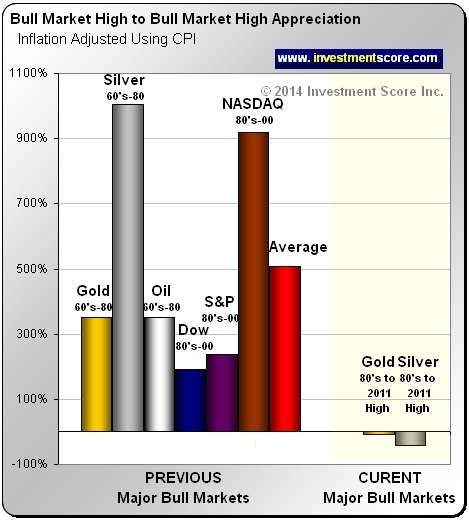 When we look at the price of silver and gold, especially when adjusted for inflation, we see a lot of upside potential. Because we believe that the most exciting part of a bull market is at the end of the move, we believe that the best may still be ahead of us. To learn more about our analysis and sign up for our free newsletter, please visit www.investmentscore.com.